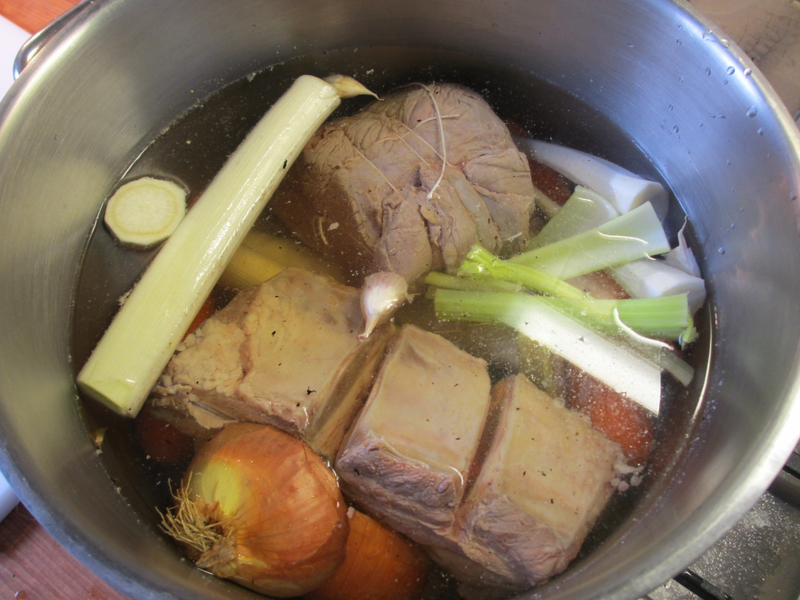 It may be winter outside but there is a cure: Pot-au-feu. Essential ingredient: burnt onions – do it in a pan lined with aluminium foil. idea of a heart-warming pot-au-feu for dinner was born right away. It’s a legendary dish of France, of course, but preparation is free of any miracles. You’ll need some not-so-noble (and therefore cheap!) parts of beef like brisket, flank or alike. I’m afraid though that only the real French cuts like macreuse, jumeau, paleron, plat de cote plus some original French marrow bones will do the trick. Double feature: First, bring meat and bones to a boil and start all over. impurities). 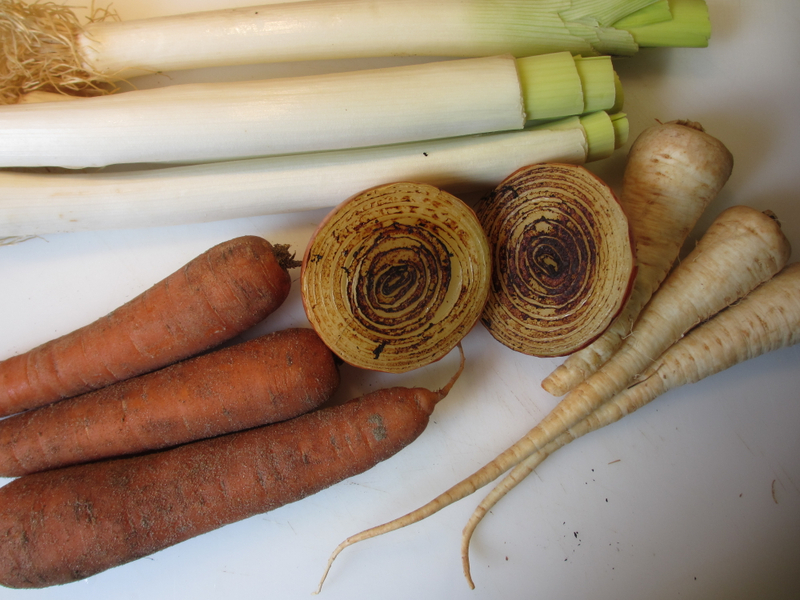 After that, you clean everything and start all over: combine meat and bones with carrots, leeks, parsley (or parsley root which I prefer). You MUST add two halves of burnt, yes, terribly burnt onions (they add color and taste, learn about the Maillard reaction, essential to all cooking!). Black peppercorns are needed, celery stalks, unpeeled cloves of garlic, coarse sea salt, a good pinch of thyme, one or two mushrooms are nice – and the rest is a waiting game. 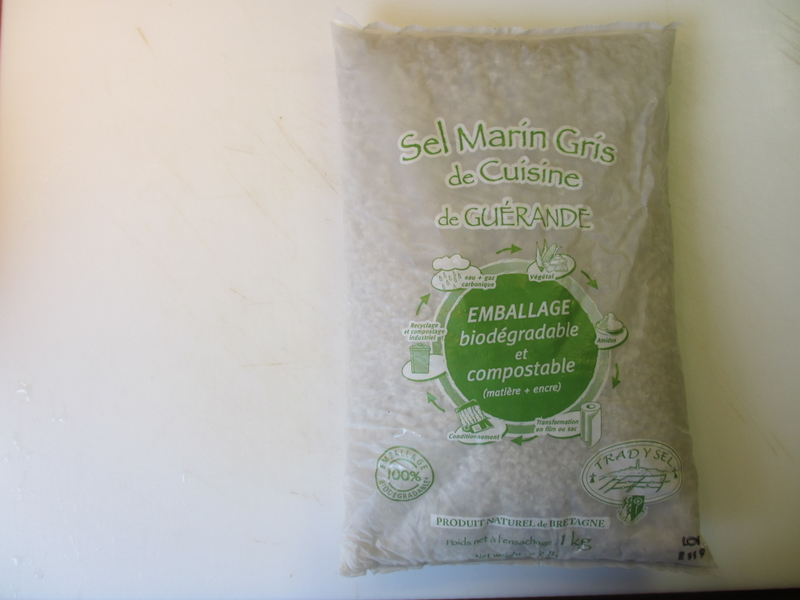 Here’s what you need: great and coarse Guérande sea salt. Put everything in cold water and once your bouillon starts boiling, count three hours but not more than three-and-a-half to avoid a gluey texture. During the cooking time, stay by the pot like a mother watching over her loved ones and skim whatever scum may surface (that’ll end after 50 minutes or so). Once done, the culinary possibilities of your broth/bouillon are endless: You can just eat it as it is – that’s what we’ve done tonight and it was a rustic, pleasant meal. You can sieve the whole thing, cool it, remove all fat – and you’ll have an excellent basis for soups, risotti, sauces or any kind of very healthy mash for your babies. (Let me add that I had a conversation with Sissi today, she runs the wonderful blog With A Glass, about the splendour of Japanese dashi broth. It definitely is superior to beef stock for many reasons. 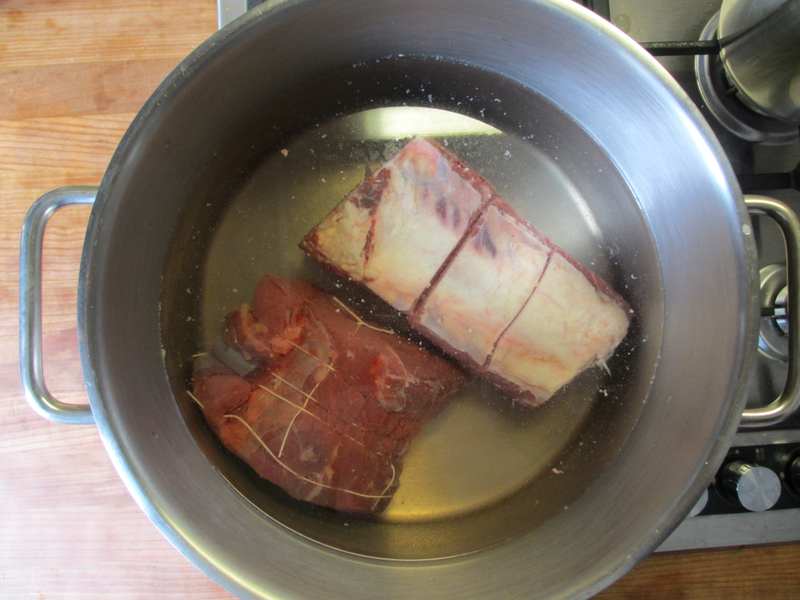 But still, beef stock is so cozy! ).